This entitles you to attend the Taste of Route 66 Fundraiser on Tuesday, April 23rd, 2019 from 6-10pm at Ashyana Banquets at 1620 75th St, Downers Grove, IL 60516. Ticket price includes two free drinks from the bar, as well as unlimited food and drink samples from area restaurants. 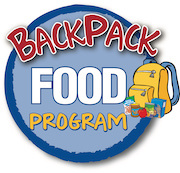 Help us Feed More Kids Better Food by contributing to our fundraising efforts. I have read and agree to the Terms and Conditions and give my consent to Rotary Club of Darien to process my personal data. I understand I can revoke this consent at any time. Pls feel free to contact us for more information about this event, Food For Kids packing nights, or other Rotary Club of Darien information.